The liquid used to create Black Bowmore is so special, it's been slowly trickling out to market since 1993. 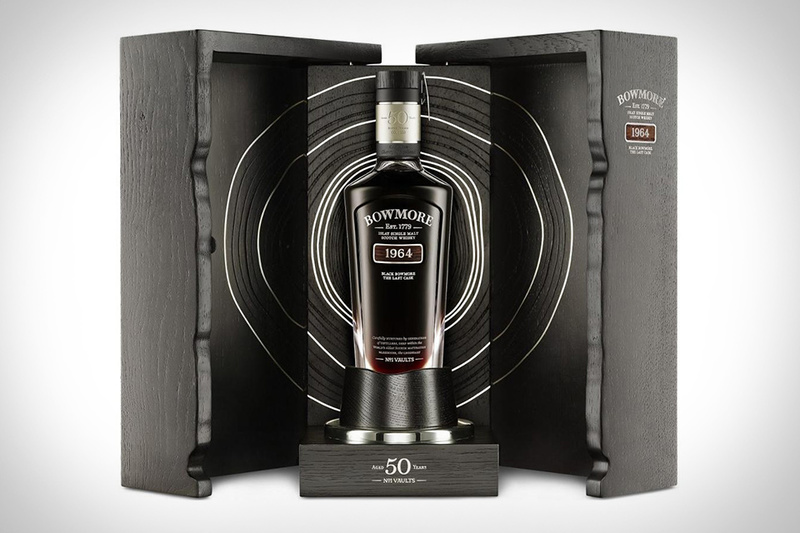 Distilled in 1964, this release of Black Bowmore 50 Year Old Whisky is the final drops of a legendary dram. It was first bottled in 1993 and most recently in 2007, and now, for its final curtain call 159 bottles are available internationally. Each one is presented in a case made of Scottish oak, featuring silver inlays modelled on tree rings. Named after a mythical hellhound that has stalked residents of the Highland village of Tomatin, Cù Bòcan 1989 is a special release from the Tomatin distillery. This sweet and smoky single malt is non-chill filtered and was matured in 1st fill ex-Bourbon casks before being bottled at cask strength. This rare edition of Cù Bòcan delivers light smoke combined with citrus and spice for a dark dram worth tracking down.